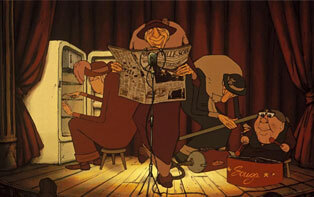 The film has the voices of Michele Caucheteux, Jean-Claude Donda, Michel Robin and Monica Viegas. The movie was distributed by Diaphana Films in France, Sony Pictures Classics in United States and Tartan Films in UK. 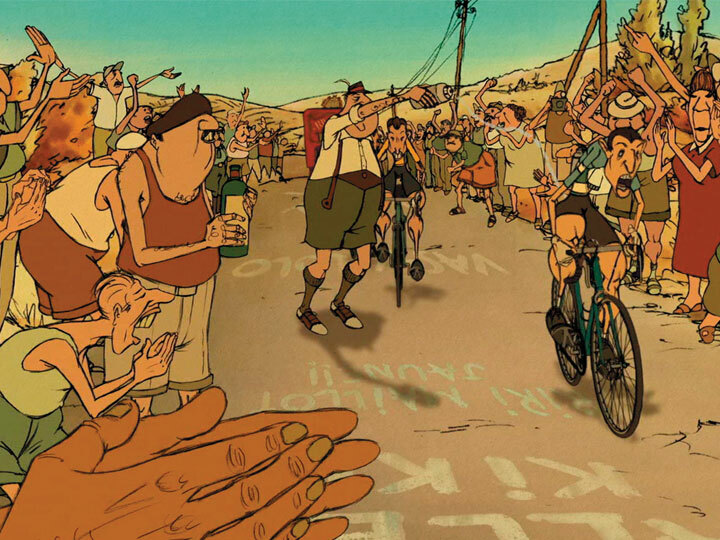 The story is about Madame Souza, an elderly woman who goes on mission to rescue her grandson Champion who is a Tour de France cyclist. Champion who has been kidnapped by French mafia on gambling purposes and is taken to the city of Belleville. Champion’s loyal hound, Bruno helps her and they are united withThe Triplets of Belleville, who are music hall singers from the 1930s. The movie is brought together by amazing jazz and period-inspired music by Benoit Charest. The movie holds almost a no dialogue record. The movie is brilliantly animated and the animation is a combination of hand-drawings and computer-animation, done by creation of framework for some scenes in 3D and then adding details from the hand-drawn pictures.However, for the cars, boats and trains, the animators have used CGI technique so that they don’t change while in motion. The movie also inhibits use of traditional animation, particularly Cels. This entry was posted in 3D animation, Movie Reviews, VFX and tagged animation, belleville, Benoit Charest, Champion, comedy, France, French, jazz, mafia, Tour de france, Triplets. Bookmark the permalink.